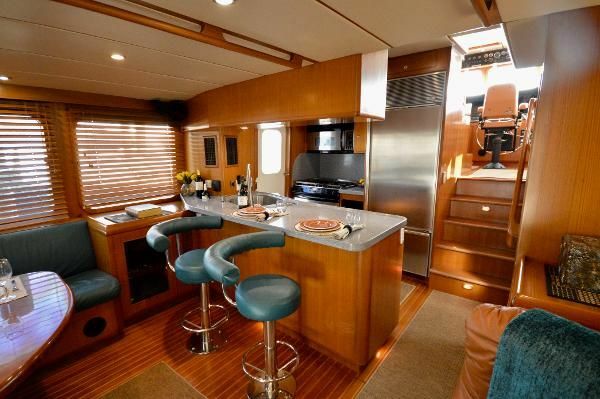 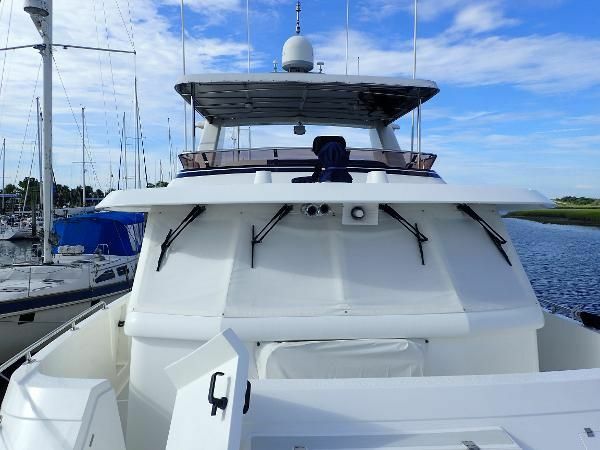 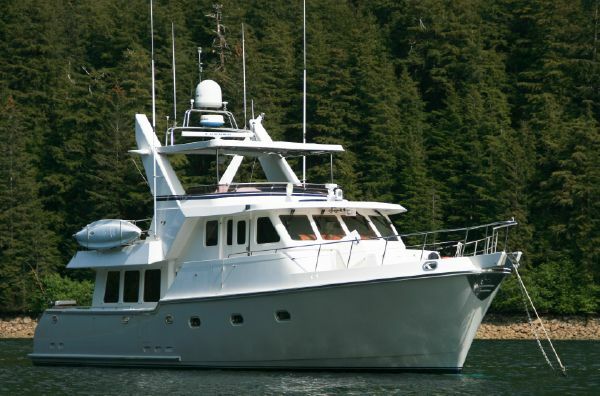 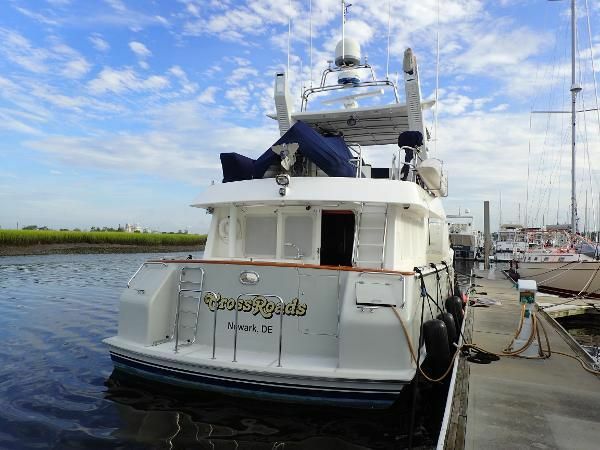 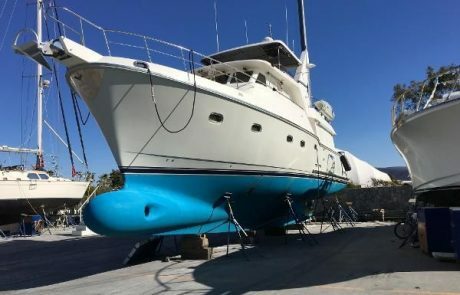 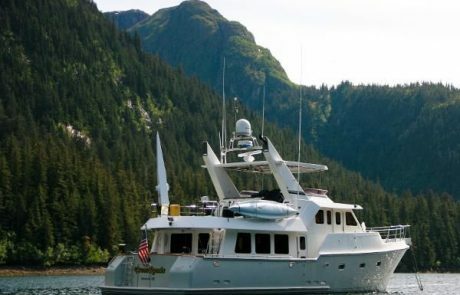 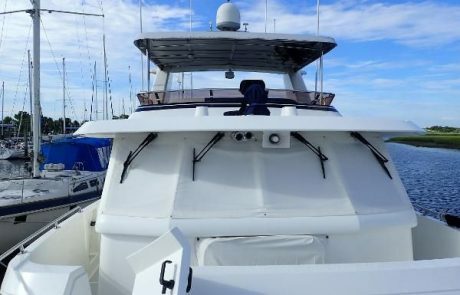 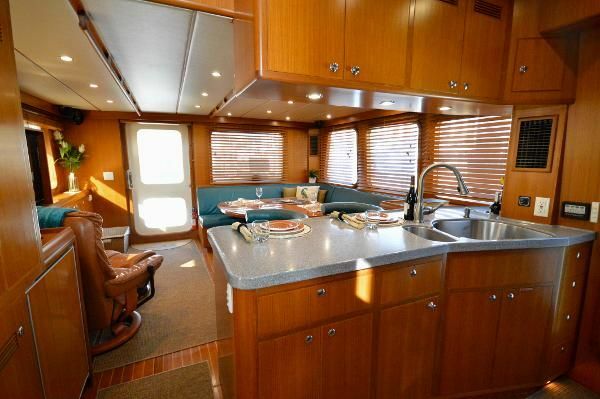 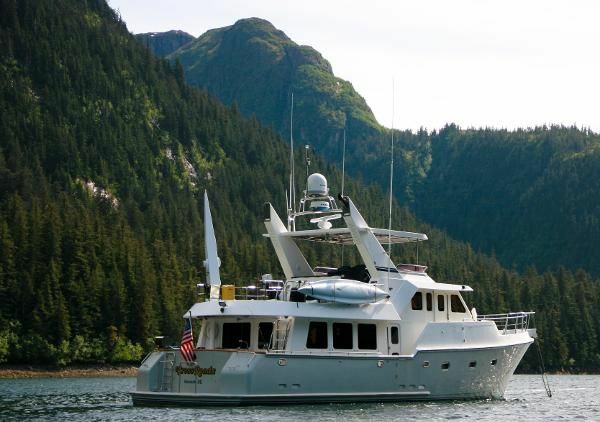 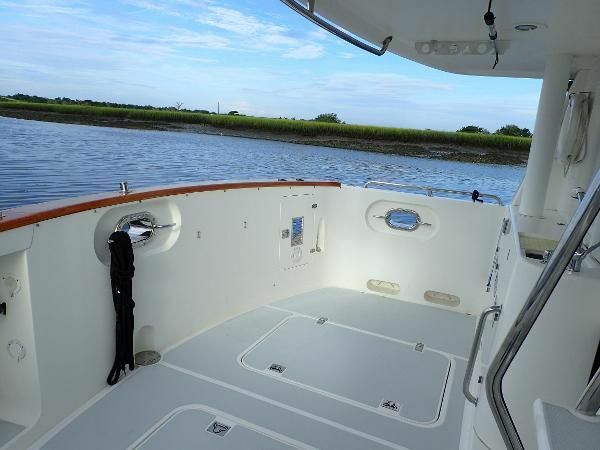 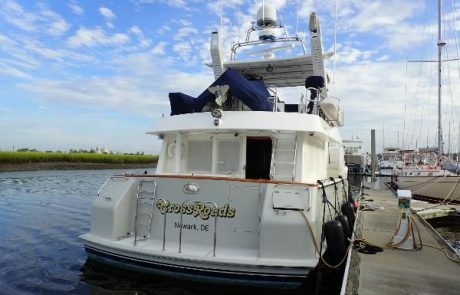 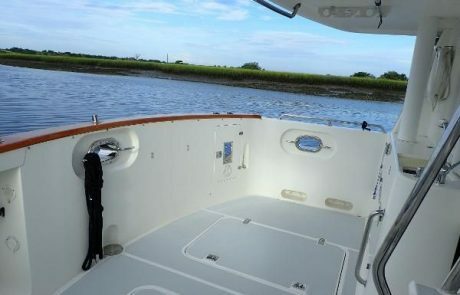 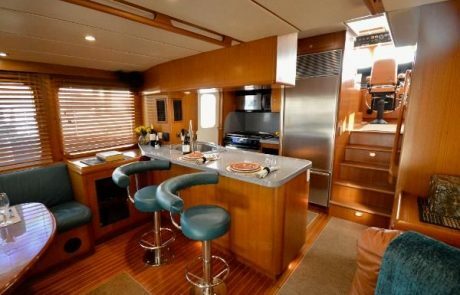 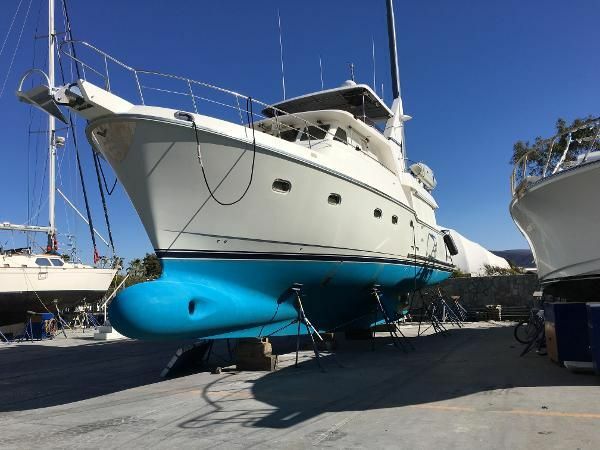 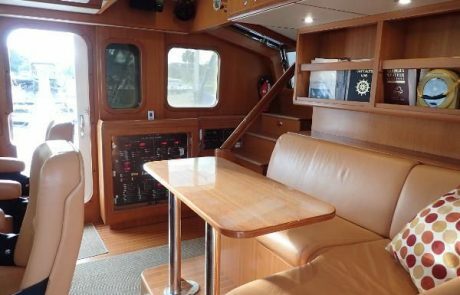 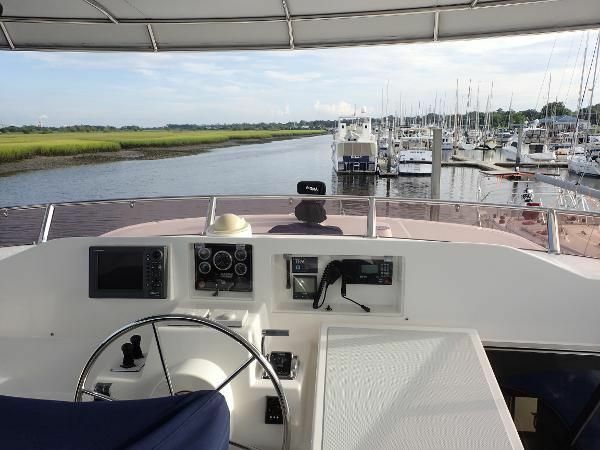 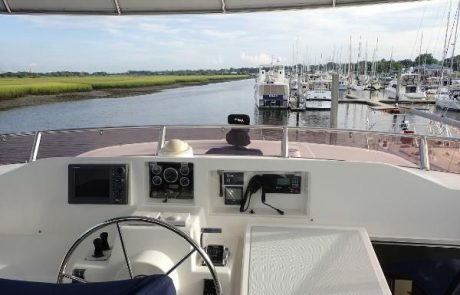 Crossroads is an asymmetrical widebody version of the Nordhavn 57, providing a wider salon, which, along with her additional port side entry from the dock through the galley, allows the same easy port or starboard side docking that a walkaround configuration would provide (RARELY found on a WIDE BODY model). 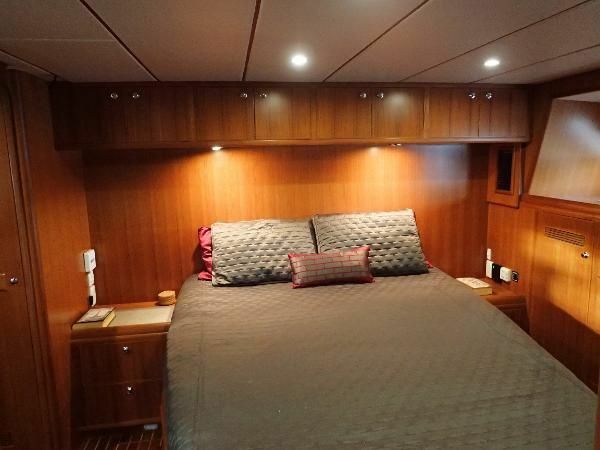 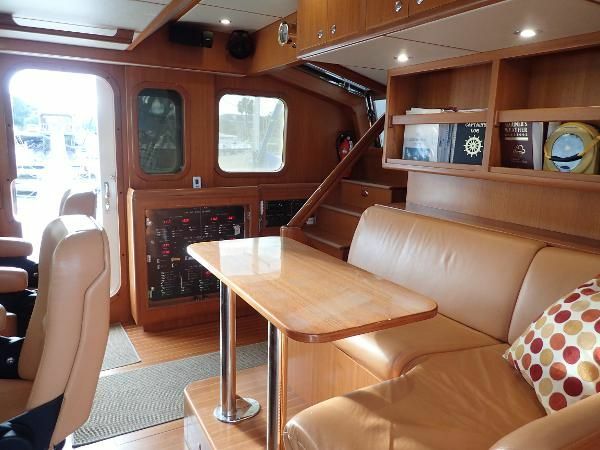 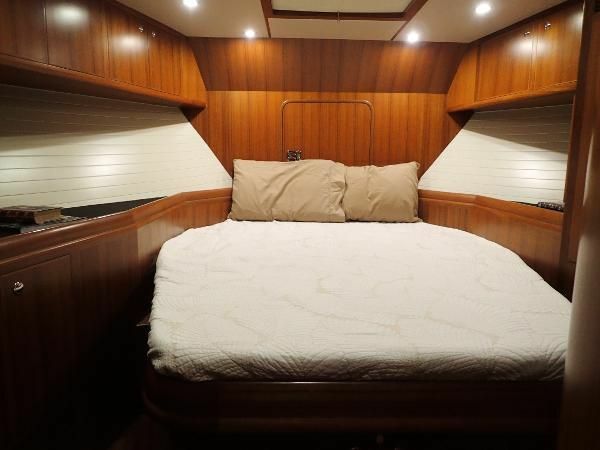 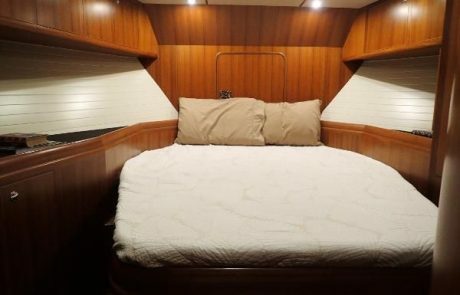 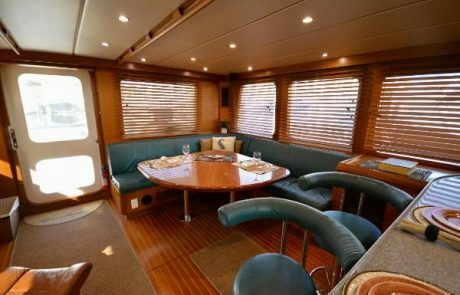 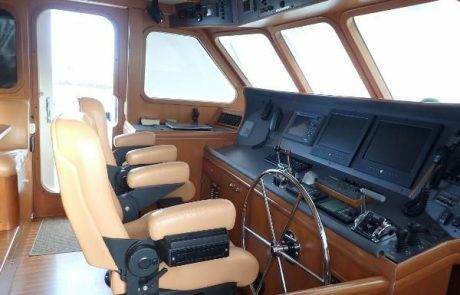 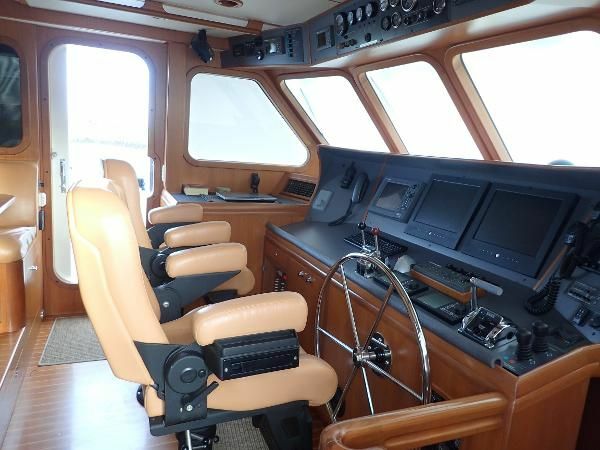 Her two stateroom design with all teak paneling provides a more luxurious and spacious full beam master stateroom and home office area, and a greatly expanded second stateroom. boots, etc. 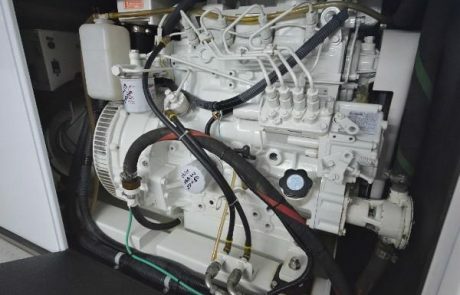 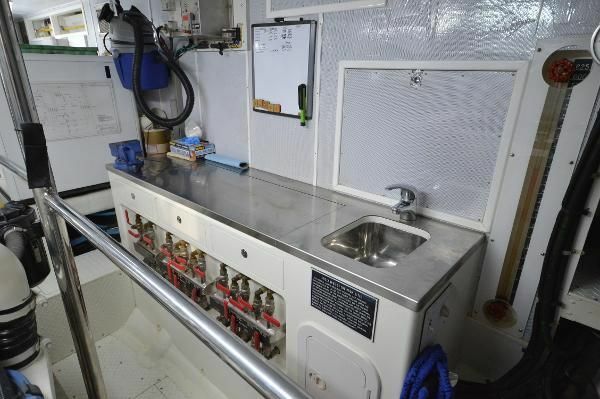 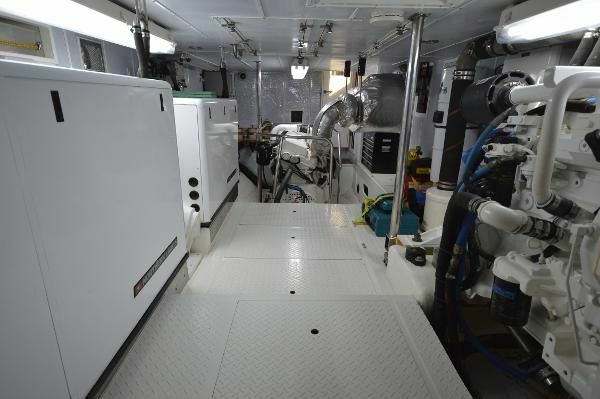 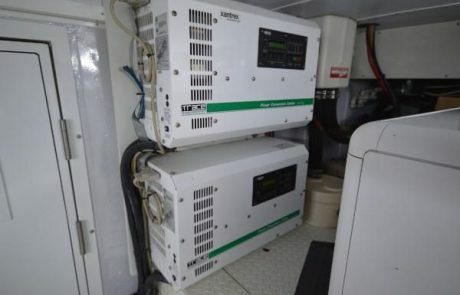 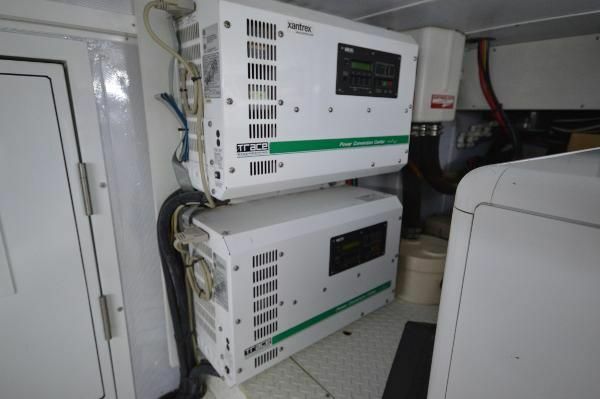 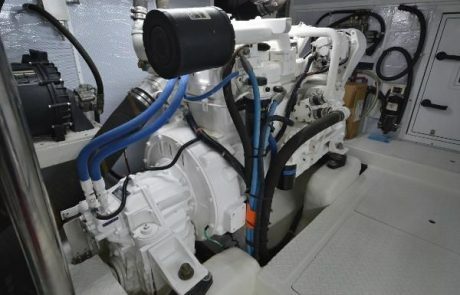 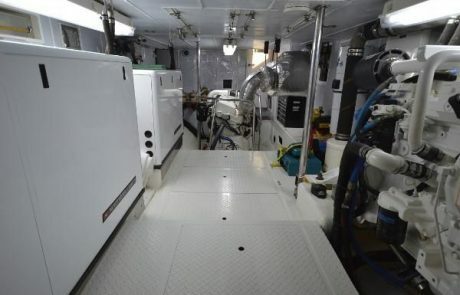 Convenient access to the stand-up engine room can also be provided through this pathway without requiring access to the rest of the vessel.